Play with your dog, train his brains or avoid boredom. All different types of the Beeztees Sumo toys have their own specialty and they are all made of the best and strongest rubber. Furthermore the toys are strong and not easy to destroy. Your dog can play with it endlessly. Sumo Fit, Sumo Team and the Sumo Fit stick are specially designed to create interaction between the pet and the pet owner. After all it’s more fun playing together! Sumo Play and Sumo Dental can be filled with a tasty snack. Because of its unusual shape Sumo Play bounces in all sorts of unexpected directions. This creates a surprise effect which your dog can’t resist. It stimulates his mental alertness and gives your dog some exercise. 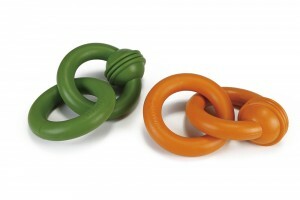 Sumo Play is available in 2 different colours, orange and green, and 3 different sizes. It’s a natural behavior of your dog to hunt. The Sumo fit toy helps you to respond in a fantastic way on his natural need. You can take your dog out to fetch the Sumo Fit toy for instance. This gives your dog the required movement and improves simultaneously the relationship between you and your dog. Sumo Fit is available in 2 different colours, orange and green. Dog really love to do things together with their owners and to work as a team. The Sumo Team toy is designed so that you can play actively with your dog and improves mutual respect and trust. 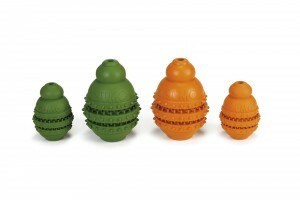 Sumo Team is available in 2 different colours, orange and green. Because of its unusual shape Sumo Dental bounces in all sorts of unexpected directions. This creates a surprise effect which your dog can’t resist. It stimulates his mental alertness and gives your dog some exercise. Furthermore Sumo Dental toy massages the gum of your dog and helps to prevent and removes plaque. 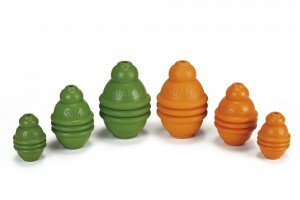 Sumo Dental is available in 2 different colours, orange and green, and 2 different sizes. It’s a natural behavior of your dog to hunt. The Sumo fit stick helps you to respond in a fantastic way on his natural need. You can take your dog out to fetch the Sumo Fit toy for instance. This gives your dog the required movement and improves simultaneously the relationship between you and your dog. Sumo Fit Stick is available in 2 different colours, orange and green. Besides the standard Sumo range, we have a special collection for puppies too. Our Sumo Mini toys are as strong as the regular Sumo toys, but they are made of softer rubber, so the puppy’s teeth will not be damaged. Sumo Mini is available in 3 different types: Sumo Play, Sumo Fit and Sumo Team.